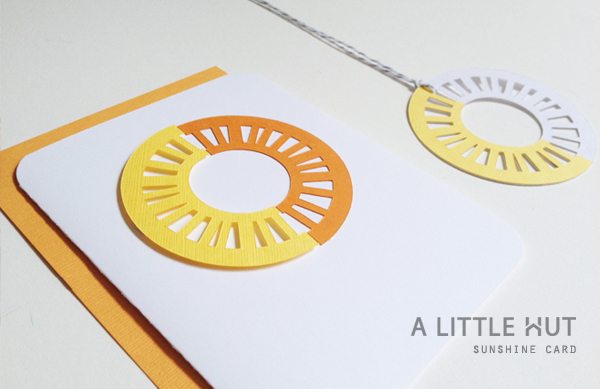 - Cut two sun shapes in different colors. - Lined up the circles one over the other and cut them in half in the same place. - Attached two different colored halves to the card. The left yellow side of the circle is attached on foam squares—tiny ones that I had to cut in half. 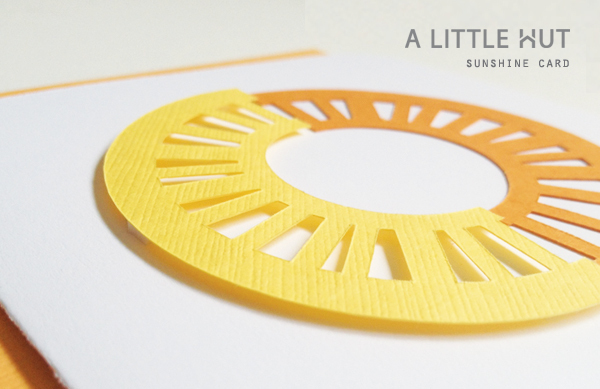 - I cut a separate white sun and glued the other half of my yellow sun onto one side. If you're keeping count, I still have the second half of the orange sun which I can use for anything else (I'm thinking of making myself a bookmark). All I need to do is add an appropriate stamped sentiment or hand write it (my usual go to!) and I'm done. Simple!